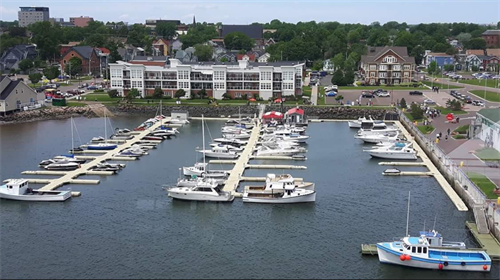 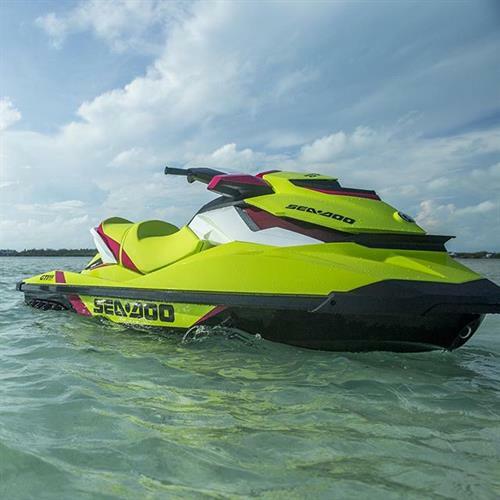 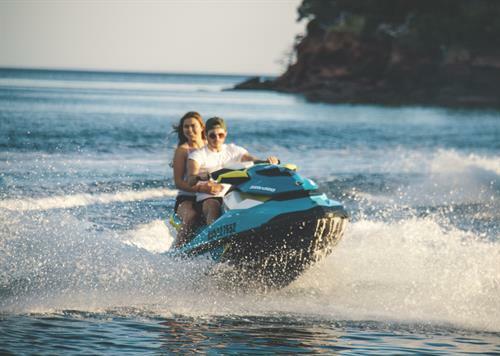 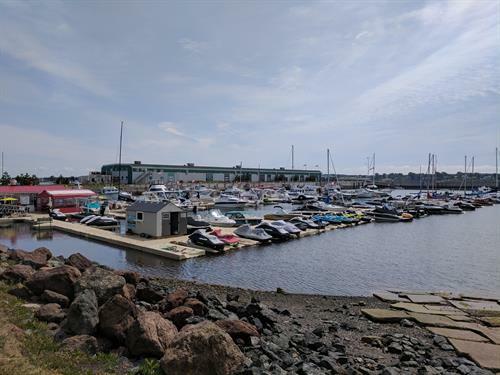 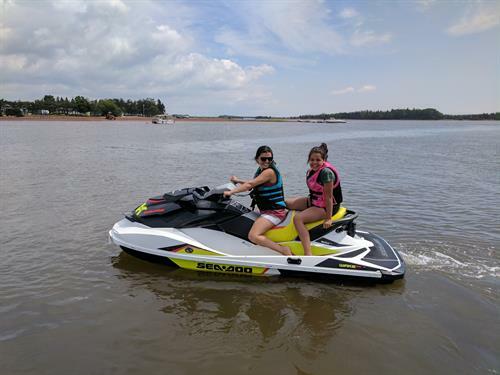 At The Charlottetown Marina we provide guided Seadoo adventures that take groups cruising the waters in and around the city, down The Hillsborough River and out into the Gulf of St Lawrence. 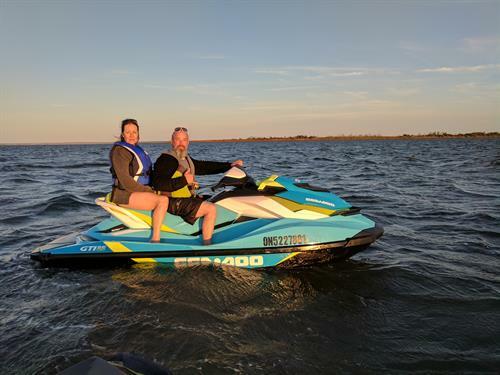 If the weather and tides are aligned just right our Seadoo Tour can take up to ten riders out to visit and float with the Governors Island seal herd. 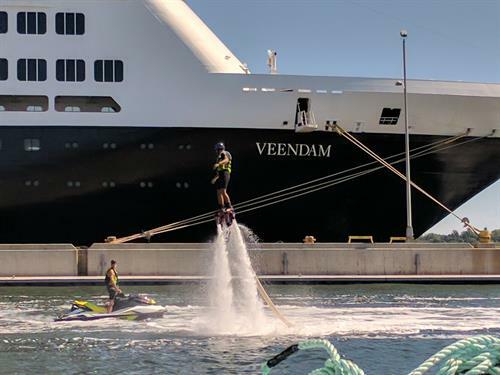 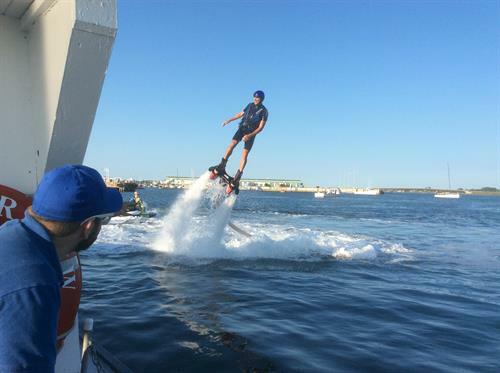 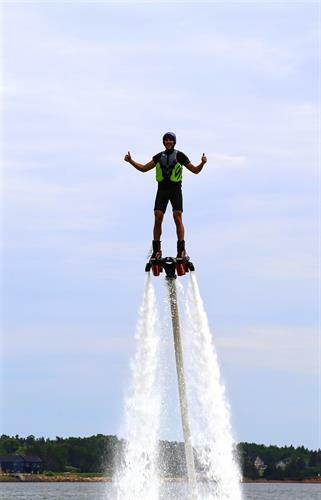 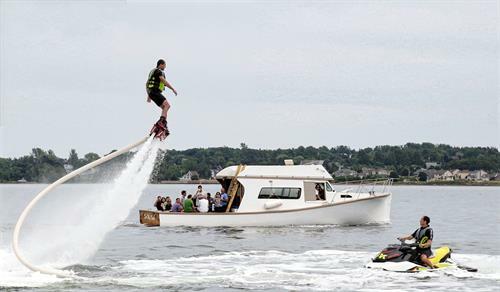 For those who want something a little more thrilling we offer flyboarding and hoverboarding flights in Charlottetown and private beach flyboard parties around the Island.